Before joining the firm, Matt spent the first decade of his career representing the insurance industry. Matt recently worked for the medical malpractice firm of Post & Post. In his capacity as a medical malpractice defense attorney, Matt successfully represented his clients in all phases of the litigation process including arbitrations and trials. Matt has represented his clients in catastrophic personal injury actions with damages claims in the millions of dollars. Matt has accomplished a string of significant victories in these matters, including the resolution of a multitude of obstetrics and gynecology malpractice matters in favor of his clients. He has also successfully represented his clients in significant motor vehicle accidents involving death and catastrophic bodily injury. With this experience, Matt has the insight into defense strategy to enable him to adequately prepare cases and bring them to a successful resolution on behalf of injured plaintiffs. Matt was awarded a U.S. Army Scholarship and attended the Pennsylvania State University, graduating in 1992. 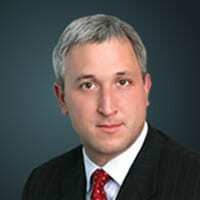 He subsequently attended Widener University School of Law and graduated in 1999. Matt practices in the prosecution of physicians, nurses, hospitals and other healthcare providers in medical professional liability litigation. Matt has handled numerous complex medical malpractice cases. Matt also practices in the area of personal injury actions. His practice includes matters involving motor vehicle accidents and premises liability actions.